This is the September '09 Collection that is just captivating my attention. 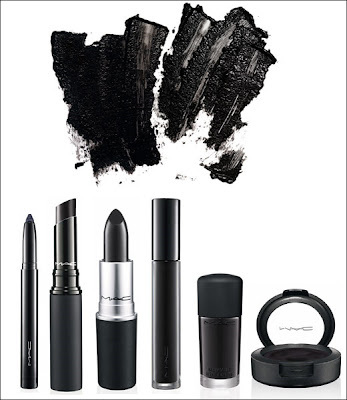 an all black (or similar shades to it) collection. I'm reserving that.... that ... that, that, that and that!! for complete list of the collection, please visit Temptalia's post here. thanks to Temptalia for this pic! grabbed at her post here. P.S. I hope the Black Knight lipstick is as easy to use as the Russian Red.